6% Increase in DA and DR for CG Employees and Pensioners from 1.1.2015 - Thus the DA and DR will go up to 113% from the existing rate of 107%. Increasing of Dearness Allowance for Government Employees and Pensioners is an important event of their economical life. This time is very crucial to assume that the All India CPI for IW is still stands at 253 level. But the calculation of Dearness Allowance is slightly vary from the existing level on every month. Labour Bureau is the nodal agency of Central Government is releasing number of indices, one of the important index of CPI(IW) for the purpose of calculation of Dearness allowance and Dearness Relief to Central Government Employees and Pensioners. Last date of every month, the Labour Bureau publishes the statistics of All India Consumer Price Index for Industrial Workers. Subject: GPF & Pension Benefits to Casual Labour with temporary status regularised after 1.1.2004 - regarding. The undersigned is directed to say that following the issue of this Department's O.M. No. Dated 26.04.2004, the status of admissibility of pensionary benefits to CL-TS regularised after 1.1.2004 has been a subject of litigation in a number of court cases being contested by various Ministries/Department. In connection with the bye-elections to 14-Bangaon (SC) Parliamentary Constituency and 88-Krishnaganj (SC) Assembly Constituency scheduled to be held on 13th February, 2015 (Friday), the undersigned is directed to declare the day of polling i.e 13th February, 2015 as a public holiday under section 25 of the N.I Act 1881 for the offices located within the extent of the aforementioned Parliamentary Constituency and Assembly Constituency. As per directive of the Election Commission of India, the day of dispatch i.e the day before the poll day (12-02-2015) may be declared as local holidays for the educational institutions located within the Parliamentary Constituency & Assembly Constituency, if the day of dispatch happens to be a teaching day for those institutions. Subject: Purchase of air tickets from authorized travel agents – Reg. Regarding review of pay fixation cases of promoted employees. Administrative Secretaries to Government Haryana. 2. Registrar (General), the High Court of Punjab and Haryana. 3. All the Heads of Department in Haryana. 4. All the Divisional Commissioners in Haryana. 5. All the Deputy Commissioners in Haryana. 6. All the Sub Divisional Officers (Civil) in Haryana. Subject:- Regarding review of pay fixation cases of promoted employees. New Delhi, Government would have to bear burden of Rs. 10000 crore rupees in case dearness allowance of central government employees is merged and till the implementation of seventh pay commission report government will neither give interim relief nor merge dearness allowance in basic pay for central government employees. Central government has flatly refused to give two thousand interim relief to 34 lakhs of its employees. Chairman of seventh pay commission Justice Ashok Kumar Mathur has refused to oblige on this issue. He further reiterated that provision of giving interim or merger of dearness allowance hasn't been there in the terms of reference for seventh pay commission. 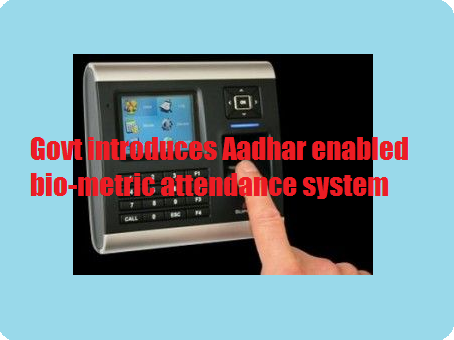 Sub: Introduction of AADHAR enabled bio-metric attendance system. The health ministry has moved a proposal for ending the Central Government Health Scheme (CGHS) in its current form and moving to an insurance-based scheme — the Central Government Employees and Pensioners Health Insurance Scheme (CGEPHIS) — in an apparent attempt to cut costs. The Modi government may declare a raise in the Income Tax Exemption limit from the current 2.5 lacs to 3 lacs. Finance Minister Arun Jaitley may announce an increase in the Income Tax Exemption limit to 3 lacs in the 2015-16 budget meeting, which will be a great relief to the taxpayers, particularly for Central Government Employees. 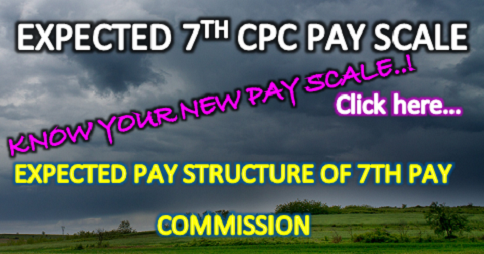 The Seventh Pay Commission report is expected to be released by the end of this year, and it seems that there will be no delay for the government to implement the report. Sub: Regulation of journeys on use of own / hired taxi on account of disability of the Govt. Servant on LTC. The nodal department of Central Government, Department of Personnel and Training has clarified today that the fare charges levied by the Indian Railways for the journey by Premium trains shall not be reimbursable for the purpose of Leave Travel Concession. Data in respect of Direct Recruit Assistants for Web Based software solution for Cadre Management of CSS reg . Dated the 27th January, 2015. Subject: Data in respect of Direct Recruit Assistants for Web Based software solution for Cadre Management of CSS reg . 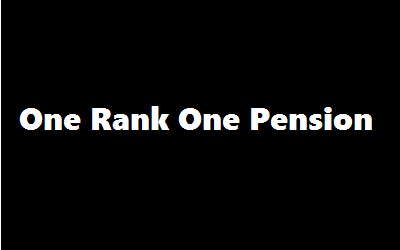 One Rank One Pension - Pension promise in peril? Roman emperor Augustus started the tradition of military pensions in 13 BC, when every legionary who had fought 20 years for Rome was guaranteed a pension for-life. It set the bar for modern armies, and independent India continued the British tradition of financially privileging military service until the mid-1970s, when soldiers were paid more than civilian bureaucrats, in service and after retirement. Name of Post – Multi Tasking Staff, Technical Assistant, LDC Etc. Is it possible to get the pay hike recommended or proposed by individuals..? It is certain that 6% increase in DA is guaranteed. Here it is necessary to mention that the DA is increased twice in a year. 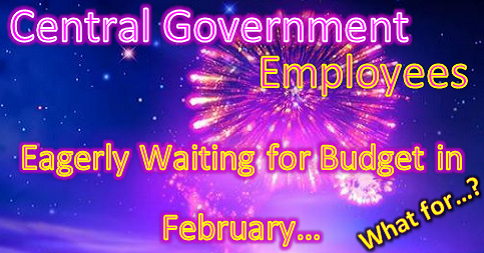 Central government employees are paid from the first of January and July. Ministry of Statistics and Programme Implementation has uploaded on its official portal on 22nd of this month that the comparison of the existing and revised series of Consumer Price Index. 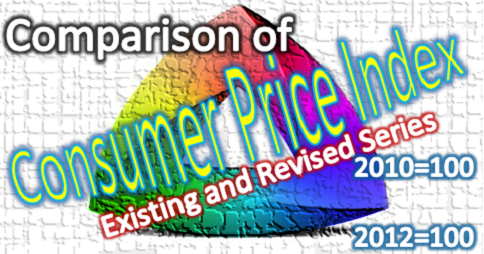 The new and revised consumer price index is based on 2012=100. 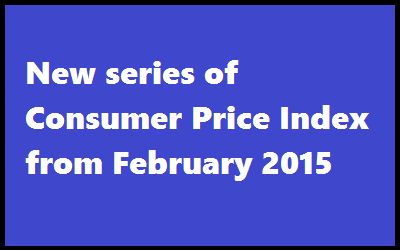 The first index of revised CPI will be published on 12.2.2015. 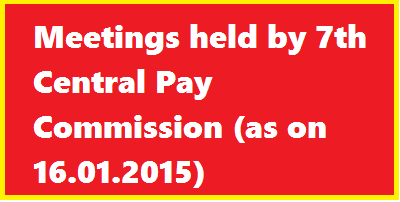 Meeting of sub committee on charter of demands on workmen to be held on 30th January 2015 at Mumbai. Following which IBA managing committee will meet on 31st January and next bipartite meeting with UFBU will take place at Mumbai on 3rd February 2015. All the respected Members of Ministerial Staff Association, Survey of India are hereby informed that Special Leave Petition in the Matter to MACP on Promotion Hierarchy has been filed by the Union of India & Others V/s some of the Govt. Servants in the Honourable Supreme Court of India. 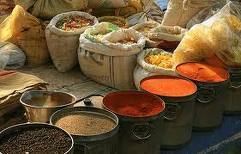 To present a more accurate and realistic price situation, the government will release next month a new series of Consumer Price Index (CPI) with 2012 as base year for computing retail inflation rate. The Central Statistics Office (CSO) is in the process revising the Base Year from 2010=100 to 2012=100 so that the gap between Price Reference Year (Base Year) and the Weight Reference Year has been minimised. The first series (revised) would be compiled for January which will be released on February 12 and from January 2016 onwards, inflation rates would be compiled using the actual CPI of the revised series. “All Government servants are to retire on the last day of the month in which they attain the age of 60 years, subject to the exceptions mentioned therein”. As per Rule 56 of Fundamental Rules all Government servants are to retire on the last day of the month in which they attain the age of 60 years, subject to the exceptions mentioned therein. A copy of the relevant rule is annexed. Different age of retirement for certain categories has been fixed on functional requirements. 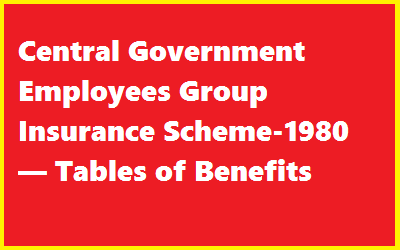 Sub: Central Government Employees Group Insurance Scheme-1980 — Tables of Benefits for the savings fund for the period from 01.01.2015 to 31.12.2015. The undersigned is directed to refer to this Ministry’s O.M. No.7 (1)/EV12013 dated 8th January, 2014 forwarding therewith Tables of Benefits under CGEGIS for the year 2014. Launch of scheme for Girl Child named “Sukanya Samridhhi Account” by Hon’ble Prime Minister rate of interest reg. Subject: Launch of scheme for Girl Child named “Sukanya Samridhhi Account” by Hon’ble Prime Minister rate of interest reg. Grant of Dearness Relief to State Government Pensioners/Family Pensioners with effect from 1st January, 2015. 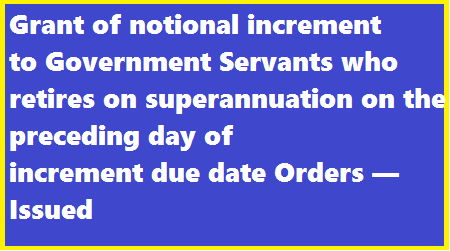 Sub : Grant of Dearness Relief to State Government Pensioners/Family Pensioners with effect from 1st January, 2015. Closing of Central Government Offices in connection with general elections to the Legislative Assembly of NCT of Delhi, 2015. Subject: Closing of Central Government Offices in connection with general elections to the Legislative Assembly of NCT of Delhi, 2015. We thank you for inviting the central trade unions representing the working people in the country in both organized and unorganized sector for this pre-budget consultation. Government have extended the Revised Assured Career Progression (RACP) Scheme for the State Government employees vide Finance Department Resolution No.3560/F, dtd.06.02.2013. 2. There are certain services where on regular promotion, the employees get appointment to another cadre with separate recruitment rule. In such cases, their service is counted afresh for the purpose of RACP after availing promotion. In this eventuality, they do not retain the advantage of the past services rendered under previous post and ultimately the next RACP benefit is delayed. It is with considerable interest that I read the musings/op ed of Brig V Mahalingam (retd), a noted TV debater/expert and of Col Rajvardhan Singh Rathore (retd), MP and now Hon’ble MoS respectively on the OROP. I do not wish to comment nor am I qualified or knowledgeable enough to do so. But their learned comments sparked off some questions. Guidelines for Educational Qualifications and experience for framing/amendment of Recruitment Rules. Subject: – Guidelines for Educational Qualifications and experience for framing/amendment of Recruitment Rules. Department of Personnel & Training vide OM. No. AB. 14017/48/2010- Estt (RR) dated 31st December, 2010 have issued Guidelines on framing/amendment/relaxation of Recruitment Rules and Service Rules. 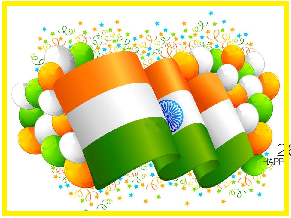 Early Closure of Offices in connection with Republic Day Parade and Beating Retreat Ceremony during 2015. Sub: Early Closure of Offices in connection with Republic Day Parade and Beating Retreat Ceremony during 2015.
Review of Model RRs for the Store Keeping staff category of posts. Subject:-Review of Model RRs for the Store Keeping staff category of posts. The Model RRs for the Store Keeping staff category of posts issued in this Department OM No. AB-14017/41/87-Estt. (RR) dated 23.3.1987 have been reviewed in the light of 6% CPC recommendations on revision of pay scales, instructions issued by this Department, etc. Accordingly, the revised Model Recruitment Rules for the same are enclosed as Annexure to this Office Memorandum. Survey No.81, Or.Babasahab Ambedkar Road. Khadki, Pune — 411003. Cadre Review of Central Secretariat Stenographers Service (CSSS), 2015 – reg. Dated : 16th January, 2015. Subject : Immovable Property Return for the year 2014 (as on 31.12.2014) – submission through cscms.nic.in – regarding. The undersigned is directed to state that, as all are aware, CS.II Division, Department of Personnel & Training is the custodian of Annual Immovable Property Return (IPR) in respect of CSS officers of Under Secretary and above levels. Subject: Declaration of Assets and Liabilities by public servants under section 44 of the Lokpal and Lokayuktas Act, 2013 – extension of last date for filing of revised returns by public servants who have filed property returns under the existing service rules – Clarification on filing of property returns in accordance with existing service rules for different categories of public servants -Reg. Subject: Uniform for the employees of Non-Statutory Departmental Canteens/ Tiffin Rooms functioning in Central Government Offices- Issue of Petticoat and Dupatta to Female Canteen Employees – regarding. Relaxation for purchase of Air-Tickets on TA (Transfer) from Private Agents – Regarding. Sub: Relaxation for purchase of Air-Tickets on TA (Transfer) from Private Agents – Regarding. Kindly find enclosed herewith a copy of GM. of Ad.I Section of Department of Revenue bearing No. FTS No.110738/2014-Ad.I dated 31st December, 2014 alongwith its enclosure on the above mentioned subject for strict compliance by field offices. Introduction of provision for writing of APAR of all Railway employees Working in PB-I, 5200-20200, GP Rs. 1900-Regarding. Sub: Introduction of provision for writing of APAR of all Railway employees Working in PB-I, 5200-20200, GP Rs. 1900-Regarding. The Minister of Railways Shri Suresh Prabhakar Prabhu has been emphasizing on the need to make Indian Railways citizen oriented, so that citizens can provide inputs on various aspects on railways to improve services in railways. It is also in line with the approach of Hon’ble Prime Minister on the matter of participative governance. Dated, the 9th January, 2015. Government have not merged grade pay of Rs.4600 and Rs.4800 as per the 6th Pay Commission recommendations to the employees of Public Sector Undertakings so far. 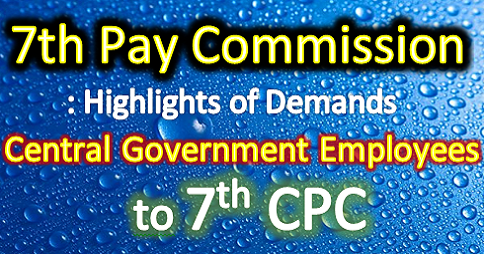 In Parliament the Minister DR.Jitendra Singh replied in a written form to a question above quoted, that the employees of Public Sector Undertakings were not covered under the Terms of Reference of the 6th Central Pay Commission. “The employees of Public Sector Undertakings and Autonomous Bodies were not covered under the Terms of Reference of the 6th Central Pay Commission. 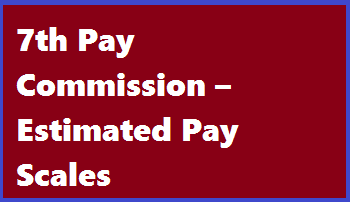 Though the pay scales based on the recommendations of the 6th Central Pay Commission were later extended to employees of Autonomous Bodies subject to appropriate stipulations, the same are not applicable to employees of Public Sector Undertakings. Prime Minister Narendra Modi’s persuasive pitch to railway employees unions has cleared the decks for more FDI inflows and private capital in national transporter that may be reflected in the rail budget. 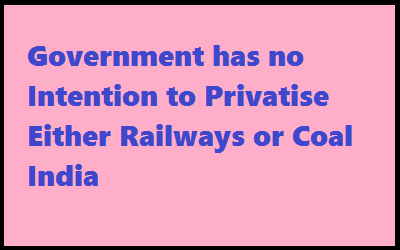 After Modi’s statement that there would be no privatization of railways, the workers’ unions have softened their stand over several issues including FDI in the transport behemoth. 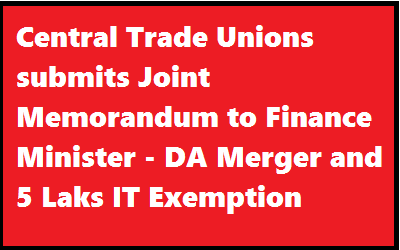 However, the unions are sticking to demands relating to scrapping of new pension scheme (NPS) and DA mergers. At the very outset, we wish all our members, their families, well-wishers and all acquaintances a VERY HAPPY AND PROSPEROUS NEW YEAR 2015. 4052 . Chandrappa Shri B.N. Department of Personnel and Training vide OM No 36035/3/2004-Estt. (Res) dated 29.12.2005 had issued consolidated instructions with regard to reservation for persons with disabilities in posts and services of the Government of India, superseding all previous instructions issued on this subject. BONUS – Adhoc Bonus – Special Adhoc Bonus for the year 2013–2014 – Sanction – Orders – Issued. 1. G.O.Ms.No.4, Finance (Allowances) Department, dated 06.01.2014. 2. Government of India, Ministry of Finance, Department of Expenditure, New Delhi, Office memorandum No.7 / 24 / 2007 / E-III / (A) / dated 16.09.2014. Grant of Pongal Prize to Pensioners / Family Pensioners – Orders – Issued. G.O.No.10, Dated 8th January 2015. 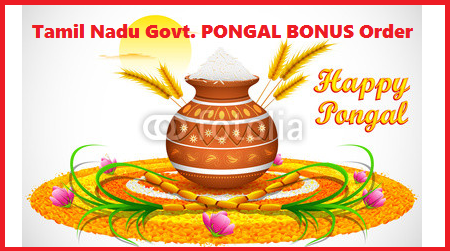 Pongal Festival, 2015 – Grant of Pongal Prize to Pensioners / Family Pensioners – Orders – Issued. 1. G.O.Ms.No.5, Finance (Pension) Department, dated: 05-01-2014. 2. G.O.Ms.No.9,Finance (Allowances) Department, dated:08-01-2015. BSNL DA from 01.01.2015 @ 100.3%-DPE ORDER - Payment of IDA at revised rates. 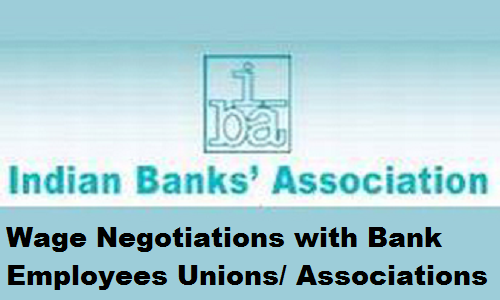 Subject:- Board level and below Board level posts including non-unionised supervisors in Central Public Sector Enterprises (CPSEs)- Revision of scales of pay w.e.f.01.01.2007 – Payment of IDA at revised rates-regarding. 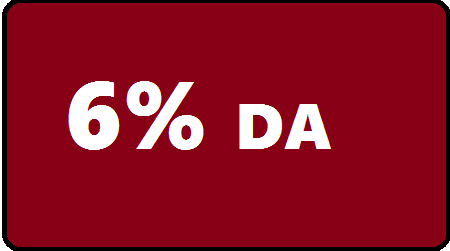 Expected DA for January 2015 – 6% DA Hike Almost Decided..! Clerk Grade (for multi tasking staff) Limited Departmental Competitive Examination-2015-confirmation of participation-reg. Subject: Clerk Grade (for multi tasking staff) Limited Departmental Competitive Examination-2015-confirmation of participation-reg. Appointment of meritorious Sportspersons in relaxation of the procedure-regarding. Subject: Appointment of meritorious Sportspersons in relaxation of the procedure-regarding. Grant of Compensatory (City) Allowance to Government Servants. 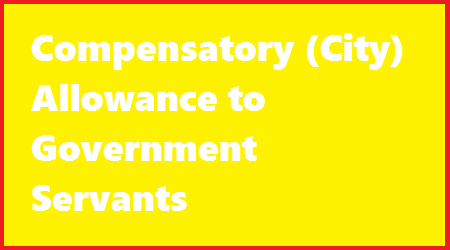 Sub:- Grant of Compensatory (City) Allowance to Government Servants. 2. G.O.Ms.No.123; Finance (PC) Department, dated: 10-4-2012. Grant of Compensatory Allowance to Government Servants posted at various places outside Rajasthan. Sub:- Grant of Compensatory Allowance to Government Servants posted at various places outside Rajasthan. IESM ANNOUNCES MAHA RALLY ON 01.02.2015 AT JANTAR MANTAR FOR O.R.O.P. We all, in most disciplined manner and peacefully, have been waiting the implementation of OROP as promised by the UPA Government and then by Shree Modi the Prime Minister of the NDA Government. Unfortunately for us the NDA Government has made a U Turn on its pre-poll promises and repeated announcement by Shree Narender Modi since the time he became the PM. 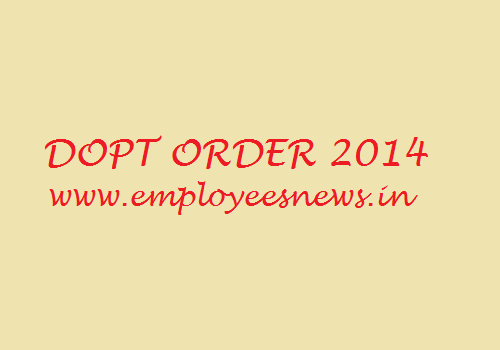 As per decision of government contained in Department of Personnel & Training OM no./1013/9/2014/Estt. (A-III) dated 21st November 2014 (copy enclosed), Biometric Attendance System has to be implemented on Indian Railways by 26th January, 2015. 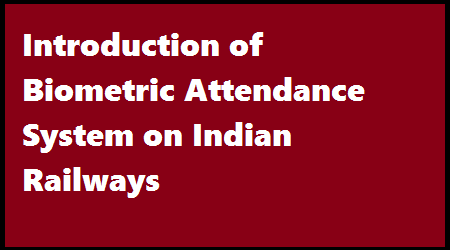 An Aadbar based Biometric Attendance System has already been successfully put in place at the Railway Board office and it has been decided to replicate the same on Zonal Railways in a phased manner. Clarification on travel by Premium Special Trains while travelling on Ty. Duty/LTC/PT. 10-AI S.K. BOSE ROAD, KOLKATA – 700 001. Sub: Clarification on travel by Premium Special Trains while travelling on Ty. Duty/LTC/PT. Grant of Fixed Medical Allowance (FMA) to the Railway pensioners/family pensioners-regarding. Subject- Grant of Fixed Medical Allowance (FMA) to the Railway pensioners/family pensioners-regarding. IRTSA delegates met 7th Central Pay Commission and presented a strong case on the demands pertaining to Technical Supervisors / Supervising Engineers. Through an exclusive well organised and impressive Power Point Presentation and an exhaustive inter action with the entire Pannel – including the Chairman and all Members of the Commission. Transfer Guidelines for Lower Division Clerks posted in Regional Offices under the administrative control of Directorate of Estates. Subject: Transfer Guidelines for Lower Division Clerks posted in Regional Offices under the administrative control of Directorate of Estates. 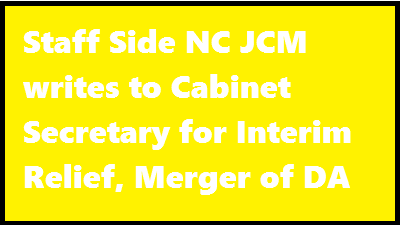 The undersigned is directed to say that the Directorate of Estates, an attached office of the Ministry of Urban Development, Nirman Bhawan, New Delhi has eight (8) regional offices under its administrative control at different places i.e. Kolkata, Shimla, Chandigarh, Faridabad, Ghaziabad, Mumbai, Nagpur & Chennai, which are administered by the Assistant Estate Managers/ Estate Managers. The Lower Divisional Clerks (LDCs) in these regional offices are recruited through the Staff Selection Commission (SSC) and on posting in the regions their service are governed by the Directorate of Estates. 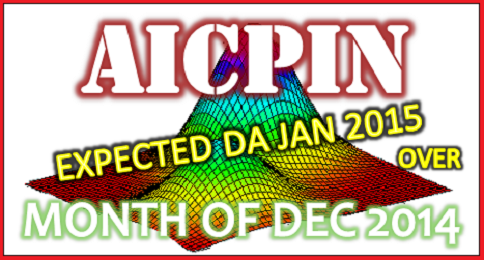 Expected DA from January 2015 - AICPIN for the month of November 2014.